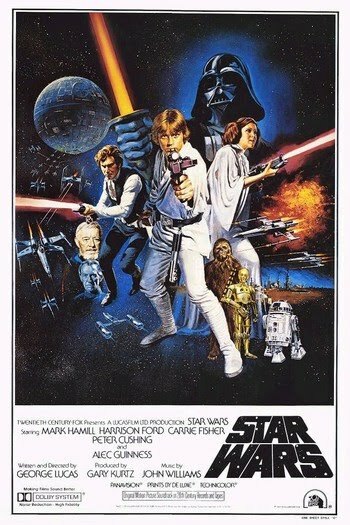 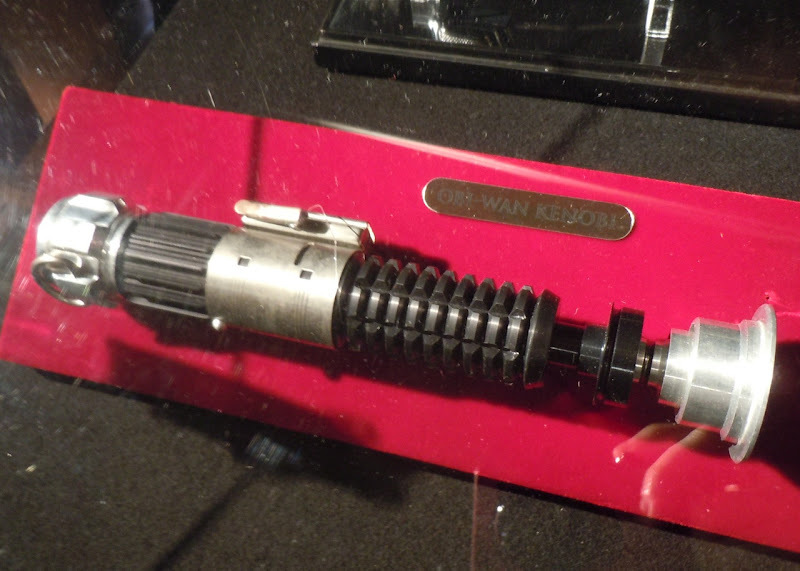 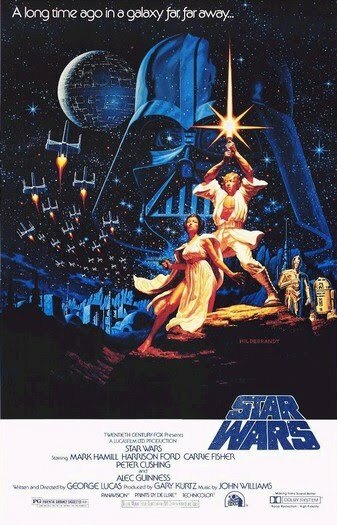 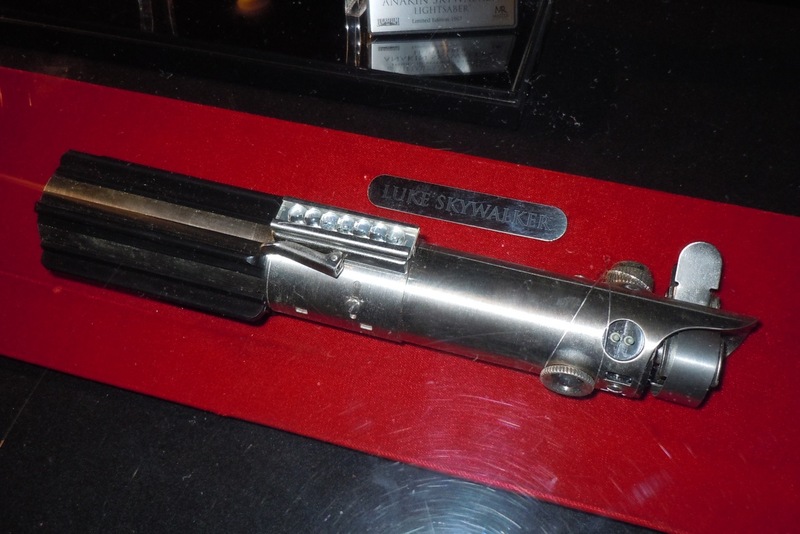 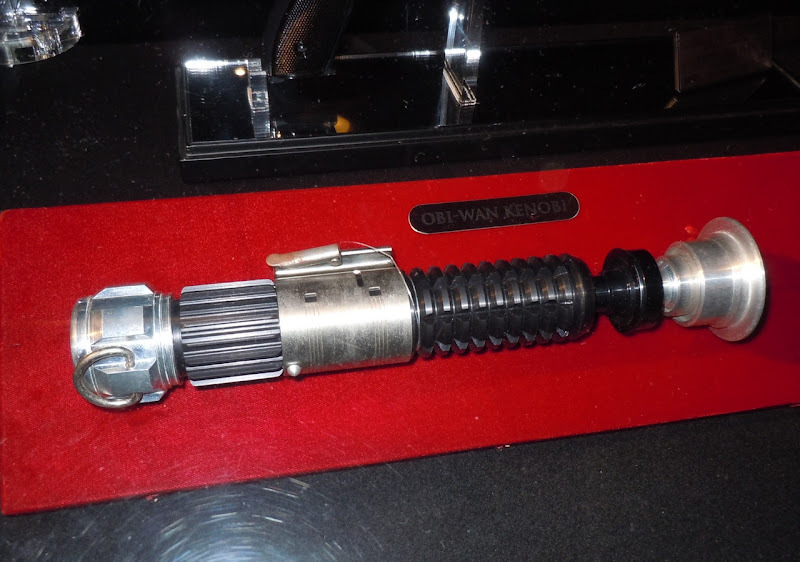 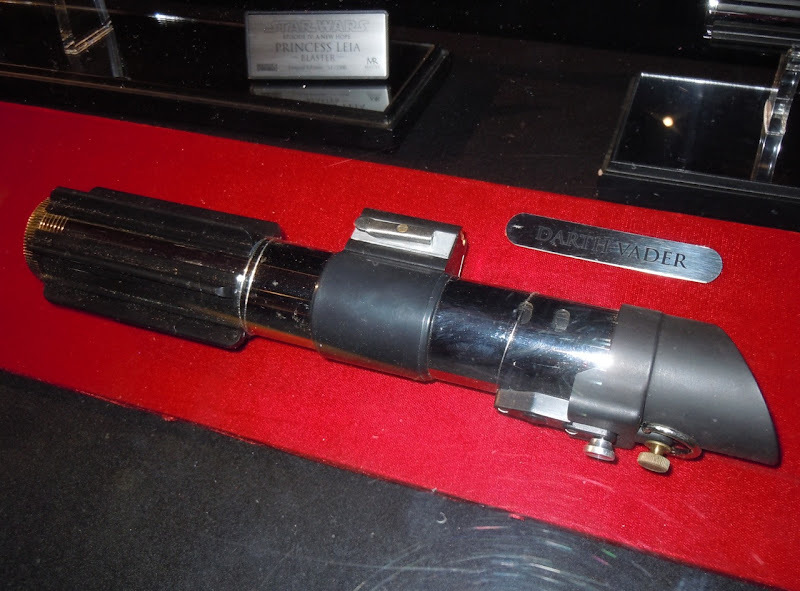 To celebrate 20th Century Fox's 75th Anniversary, the London Film Museum had a special exhibit of costumes, models and props from many of the studio's films including this collection of lightsabers from Star Wars, including those used by Jedi Knight and Sith Lord alike, Obi-Wan Kenobi, Luke Skywalker and Darth Vader. 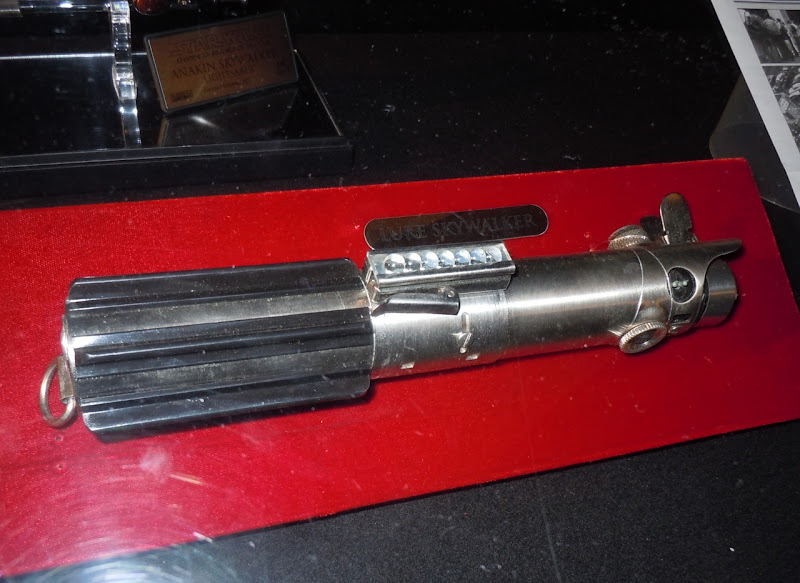 If you like these lightsabers used in the Star Wars movies be sure to check out this Darth Maul costume and double-bladed lightsaber from The Phantom Menace on display. 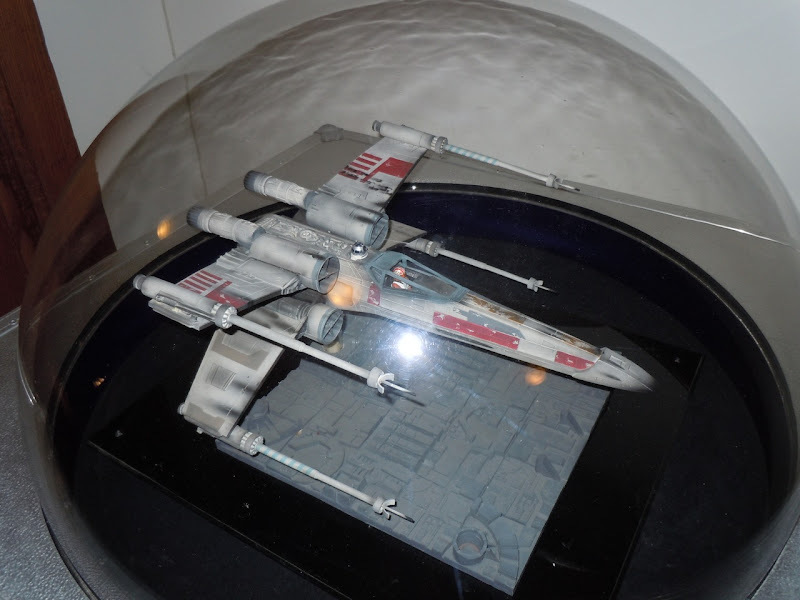 Also on display at the London Film Museum on January 25, 2011, was this model X-Wing Fighter. 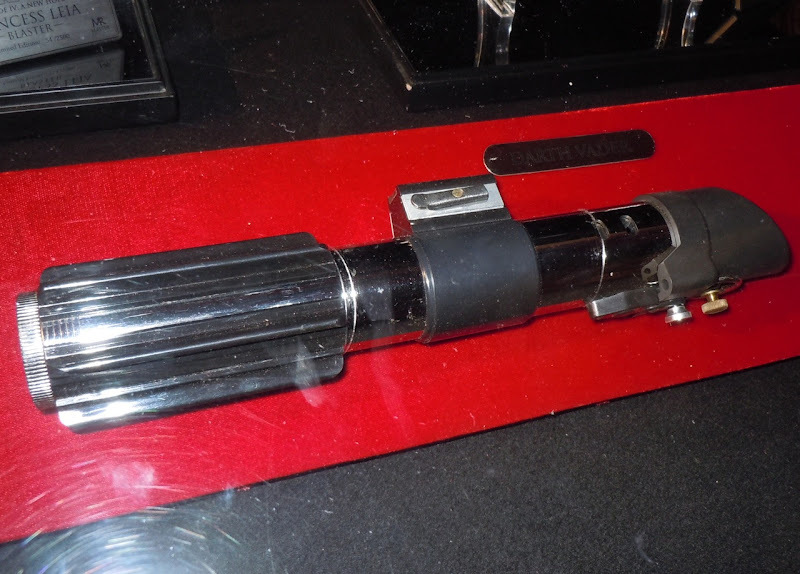 If you like this spacecraft, be sure to also check out this original TIE Fighter model from Star Wars. 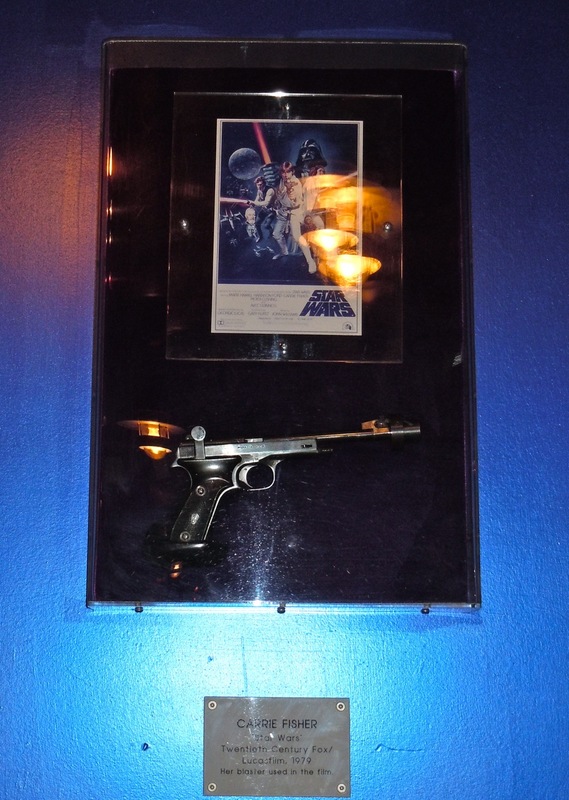 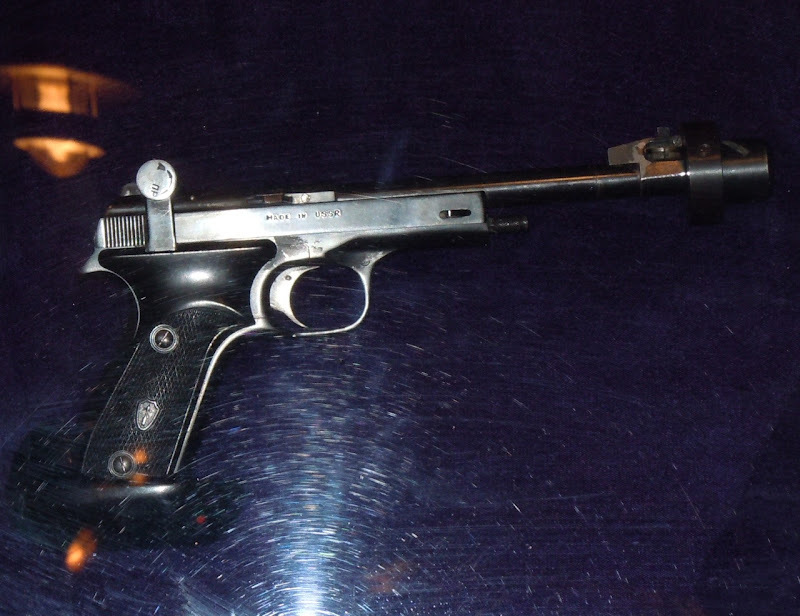 In addition to these lightsabers, on a recent visit to Las Vegas I chanced upon this gun prop at the Planet Hollywood Cafe which claims to be Princess Leia's blaster from Star Wars: Episode IV - A New Hope used by Carrie Fisher (although interestingly stamped on its side it says 'Made in the U.S.S.R.').